Graham joined The Young Theatre in December 1989 at the ripe old age of 23. His first job with the group was running lighting for The Tinder Box in January 1990. He joined the Executive Committee as Technical Manager in September 1990 and in 1992 he became Group Director, a position he held for three years. In 1995 (at 28) Graham retired from day to day involvement with the group due to changing career demands. At that point, he became a Life Member of The Young Theatre and over the coming years helped and guided YT as and when required, until being appointed a Vice-President in 2012 and then President in 2014. Graham has never acted — something he personally finds terrifying — but still loves all aspects of technical theatre. In the intervening years, Graham has been actively involved in all the other theatre groups in Beaconsfield. 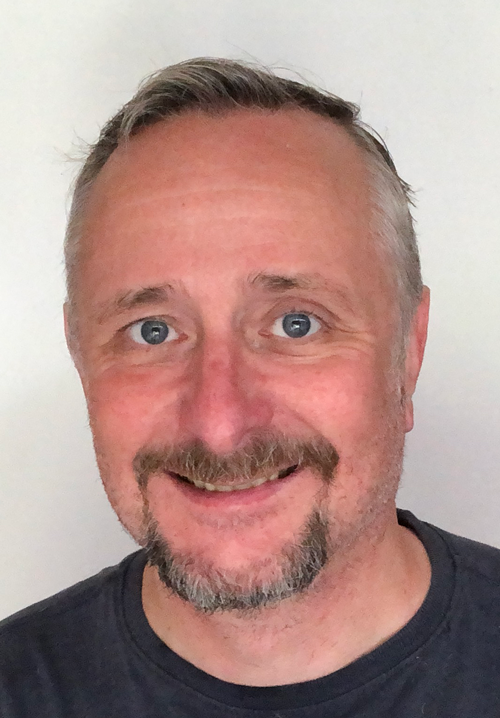 For Beaconsfield Theatre Group he has been Technical Manager, Chairman and has directed on several occasions; the last time being The Ladykillers in 2015. He has been involved in Chiltern Shakespeare for many years and is currently their Technical Director. He is also currently (2018) Chairman of Beaconsfield Musical & Operatic Society that shares a home with Young Theatre at The Curzon Centre in Beaconsfield. Graham has also worked with other local groups over the years. Joining Young Theatre had a major effect on Graham and has shaped much of his subsequent life. His early career was in IT, and since 2005 he has run his own company focusing on assisting small businesses with their physical events, digital marketing & sales and supporting them with their IT issues. This was a combining of his career experience with what has been an all-consuming passion since the age of 23. In 1998 he met his wife Dawn, whom he married in 2000. She also shares his passion for theatre and is a familiar face to many past and present Young Theatre members.